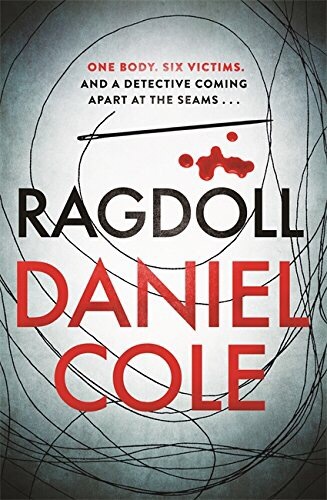 I loved Ragdoll, the first book in this series, so I was delighted to be able to read and review Hangman. I had been dying to read it from the moment I finished Ragdoll, and its safe to say it was worth the wait. Hangman was just as good, if not better. Focusing on DCI Emily Baxter in this one, she’s called to investigate a copycat murder. A body found hanging, with BAIT carved into its chest, in America. When another body turns up, this time with PUPPET carved into the chest, it becomes a race against time to decipher the message as the body count rises on both sides of the Atlantic. Hangman is such a clever thriller. I absolutely flew through it because I was so caught up in the characters and the investigation that I just had to keep reading to find out what was going on. 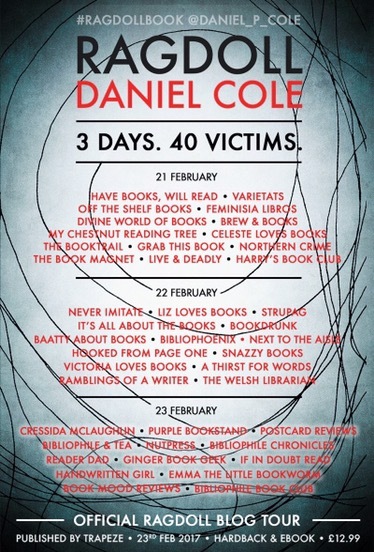 Daniel Cole has a knack for writing serial killer thrillers, and he showcases it brilliantly i these books. They are addictive, thrilling and so utterly absorbing that you just have to keep going until the very end. If you like twisted killers, great characters and a cracking plot then add Hangman to your TBR as soon as possible, you won’t regret it. To say I enjoyed Ragdoll would be an understatement! It consumed me while I read it. Definitely one of the best crime books I’ve read in quite some time, with an excellent premise and some darkly humorous moments I cannot recommend it highly enough! One to watch for certain!